The Latin Americanist academic, author and activist would have turned 71 on June 18. 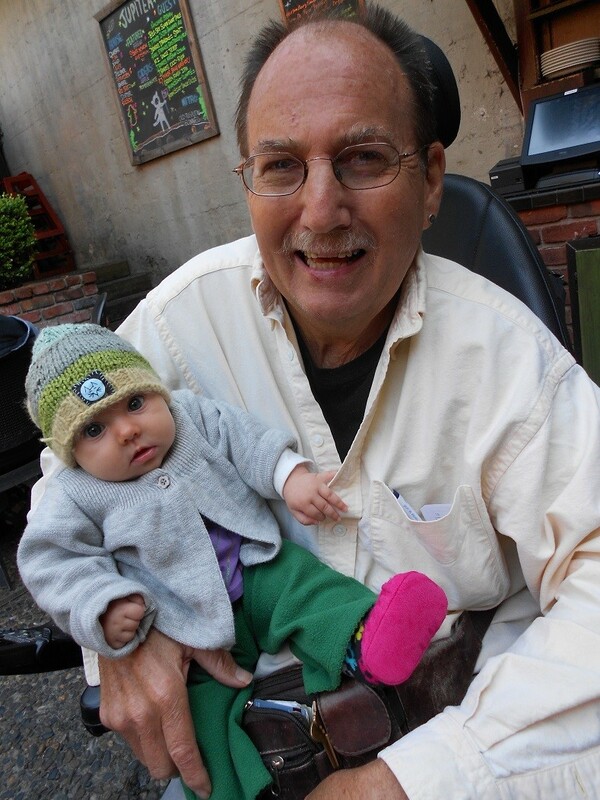 Roger Burbach passed away in Berkeley, California, on March 5 at the age of 70. It was the close of an amazing life. Roger was the Director of the Center for the Study of the Americas at the University of California, Berkeley. For over four decades, he was a prolific author, writing hundreds of articles and over 10 books on Latin America, U.S. foreign policy and globalization. But he was also an adventurer, at the heart of revolutions and turbulent change occurring across the hemisphere, ever researching and reporting on the powerful socialist processes across the region. He had a thirst for life and thwarted death on more than a few occasions. As a researcher in Chile during the final years of the democratically elected Socialist government of Salvador Allende, Roger witnessed General Augusto Pinochet’s bloody coup, which would begin a repressive 17-year-long Chilean military dictatorship. In the 1980s, he spent many years in Nicaragua, working with the Sandinistas and saw firsthand the role of the U.S. government in working to undermine, and support the overthrow of, the government, by force, if necessary. In 1989 his life took a turn, when he injured his spinal cord during a swimming accident in the Pacific Ocean, putting him in a wheel chair for the rest of his life. Others would have succumbed to the obstacles of life without the use of their legs, but not Roger. He learned to manage a vehicle retrofitted to be driven without your feet, acquired an electric wheel chair, and continued to travel. A few years ago, Roger was in New York for the 45th anniversary of the North American Congress on Latin America (NACLA), an organization and magazine that Roger had worked and written for, and collaborated with for decades. Before leaving the house, he and a friend would map out the best routes for him to arrive from one location to the next according to which Subway stops had elevators or were wheelchair accessible. Someone would then drop him off at a station and he would find his way across the city. This was Roger. Defying odds with a smile and embracing what life dealt him. In 2004, he was diagnosed with multiple myeloma, an incurable blood cancer, and told he had three to five years to live. He tried special drugs and in December 2010 underwent a stem-cell treatment that put his cancer into remission until August 2013. “Roger played quite a chess game with death. For every piece he stole, we got another year or two of memories with him,” a friend commented on Facebook after Roger’s passing. During this period I had the honor of collaborating with him on his last book published during his lifetime. “Latin America’s Turbulent Transitions: The Future of 21st Century,” also co-authored by Fred Fuentes, was released by Zed Books in early 2013. “Despite being almost double our age, Roger was without a doubt the driving force behind this project,” Fred would write about our experience. Roger’s enthusiasm for the book was contagious. He had an ability to synthesize diverse perspectives into powerful analyses and a keen collective spirit that made collaborating with him a pleasure. Many of our most important decisions about the book were made during countless engaging long-distance conversations in the late night or early morning hours. Despite being in a wheelchair with blood cancer and Parkinson’s — of which he was also diagnosed — he made long trips to Chile and Cuba, to carry out research for the book. His findings were essential in developing our understanding of Cuba’s relationship with the push across the region for Socialism in the 21st Century, a key theme of our project. Roger dedicated his life to the search for, and defense of, social justice, equality, and above all, socialism, be it in Chile, Cuba, Nicaragua, Venezuela, or elsewhere. He saw research and reporting as tools to advance this cause. In February 2014, Roger sent me one of the first drafts of the epilogue of his autobiography, which will be released later this year from Freedom Voices, a publisher in San Francisco. In the case of Roger, this could not be more true. I would usually find Roger online late night; a time that he would connect with his many friends across the hemisphere. When he wasn’t traveling, skype was his window to the world, through which he checked in on the latest happenings in Latin America and beyond, from his apartment in Berkeley, California. It’s comforting to know that Roger’s skype account is still up, his picture smiling back at his friends over the ethers. His status says that he is “Away.” That’s how I like to think of it — not gone, just away. A six-part essay on 21st Century Socialism by Roger Burbach is available to read at teleSUR English. Michael Fox is a former editor of the NACLA Report on the Americas, the director of two feature-length documentaries and the co-author of a pair of books on Latin America.